Update: We are currently reaching out to Tony Baron to get some of the information here confirmed and updated. Please check back. The story all starts with Tom Thickstun who started designing and producing aftermarket performance products before ww2. Likely due to the success and growing popularity of dry lake racing, which started in the early 40’s. Little is known about the company before the war. After WW2, as Southern California’s Hot Rod scene was building, Bob Tattersfield took over the business of his lifelong friend Tom Thickstun. 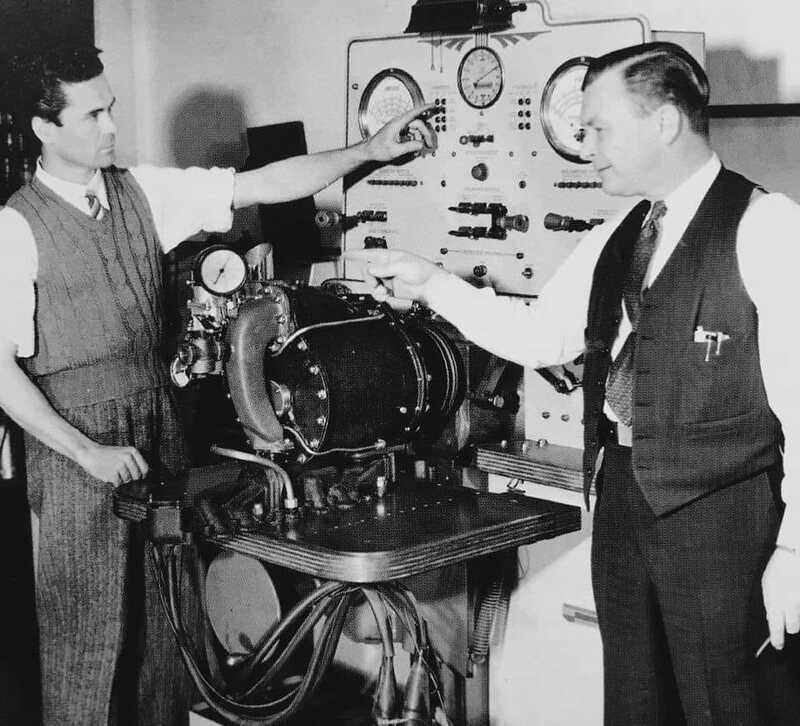 Then called Electric & Carburetor Engineering Co.. After Tom’s untimely death in 1946. Rumor has it Tom had joined Bob for a couples weekend up at Bob’s lake house in Lake Elsinore. Tom and his fiancée decided to have one more passionate go before their wedding. Which was planned for the following weekend. Sadly Tom suffered a massive heart attack between the sheets. He was only 34 years old. From their, Bob Tatterfield took the reins and possession of the companies molds and assets. He evolved the Thickstun’s PM-7 manifold and continued on plans to build superchargers. 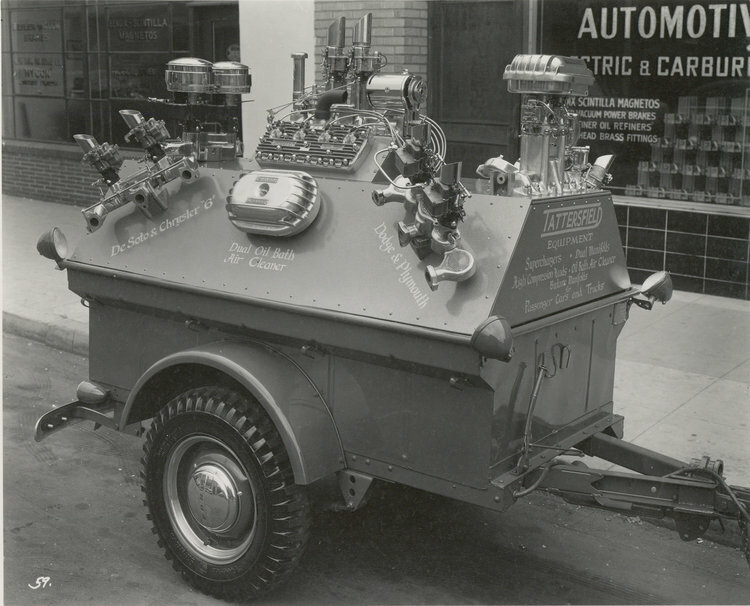 He continued to develop, build, and showcase performance car parts, often times with his parts showcase wagon in tow. Tatterfield powered the 1947 Indy 500 car driven by Cy Marshall. Tattersfield latter partnered up with Frank Baron (who had also worked with Thickstun and with Tatterfield’s father) to build the Tattersfield-Baron Special streamliner race car, at one point painted his signature hammertone blue, the same color as his equipment (vs. Thickstun equipment that was painted red). Their partnership would come to be known as a speed parts power duo. 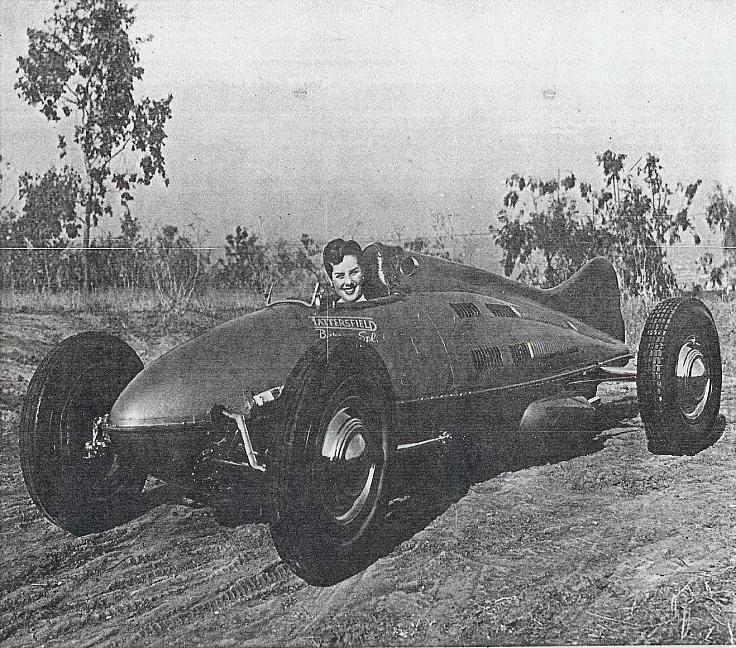 Tattersfield continued making his own speed equipment through Electric & Carburetor Engineering Co. until 1952. Few know that the PM-6 which was produced before WW2 and also came in a low-rise model as shown here. 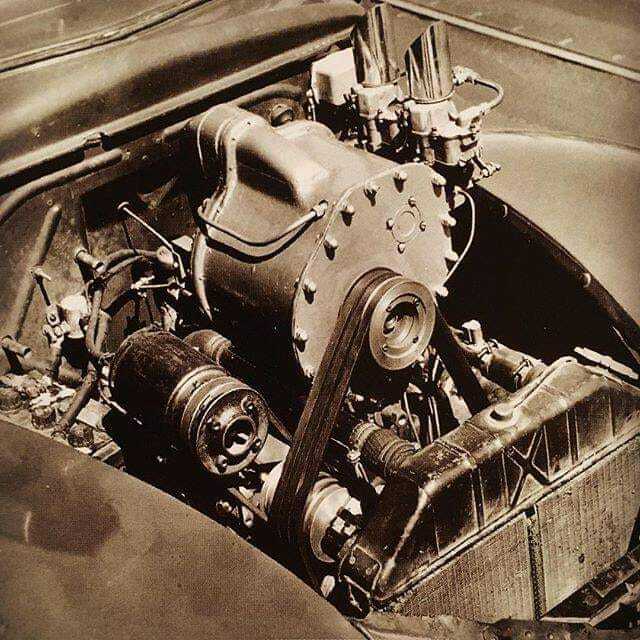 This intake was rumored to have been sold to Lee Chapel after Tom’s death and was later reproduced at by Lee’s Speed Shop and branded as the Tornado. This intake was designed and produced by Thickstun pre and during WW2. It was unclear if any where made after Tattersfield took over Electric & Carburetor Engineering Co. 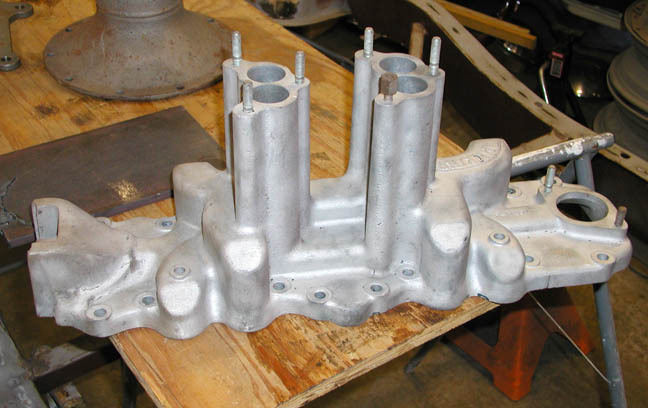 Status: Still in Production Via H&H Flatheads but they don’t seem to be on their website you might have to call them. Although reproduced until the mid 2010’s this intake was produced originally post war WW2. They came out of the box painted red. Their designation standing for Part Mold – 7 and was the seventh generation design. Although a great intake we rated this one down because so many reproductions de-valued the design and the intake is still being produced today. Most of what I can find about this intake was that it’s strongly based on the PM-7 and the branding was changed. 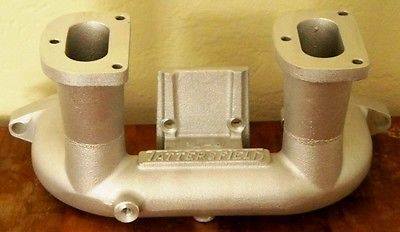 Not sure if this is an old intake as I can’t find any information and the intakes look and is available new. It’s likely a PM-7 with a branding change. 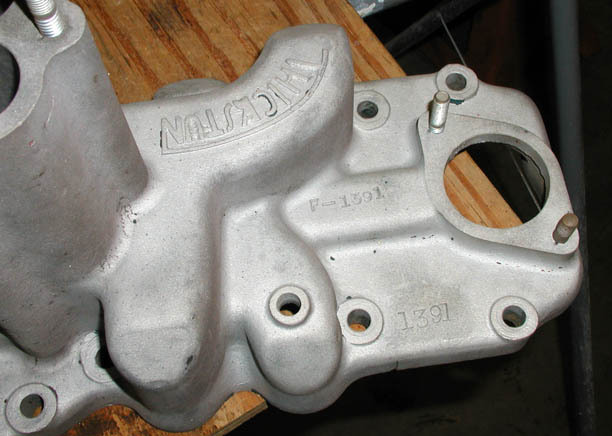 This intake manifold was produced back in the 50’s but continued to be produced up through the 2000’s when Tattersfield seems to have stopped operations. So as most intakes that where produced up until recently we lowered the rarity of the intake. 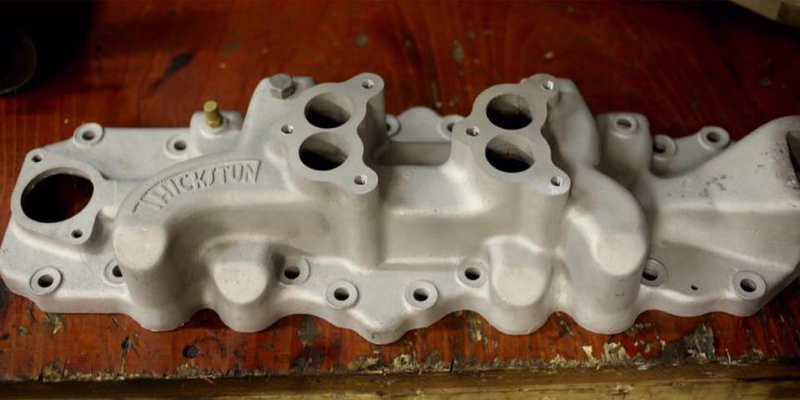 There is rumor that the intake molds have been reworked and might be brought back into production. Just rumor at this point.